California Representative Devin Nunes, one of the president’s biggest yes-men in Congress and recent filer of a lawsuit against Twitter and several of its users, including the account @DevinCow and Republican strategist Liz Mair, over mean things said about him has launched yet another lawsuit. This one again targets Mair, as well as the McClatchy Company, which publishes numerous newspapers. Also again, Nunes’ legal team appears to have exposed their ongoing ineptitude when it comes to Twitter. 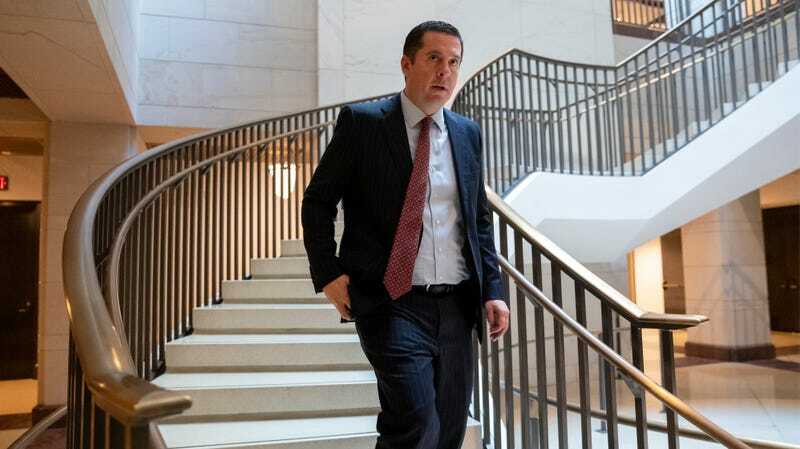 According to Fox News, Nunes is accusing McClatchy reporter MacKenzie Mays and Mair in Virginia state court of conspiring to spread online and offline smears, including that he “was involved with cocaine and underage prostitutes.” Nunes wants $150 million as payback. Trump attorney Rudy Giuliani, who was once supposed to be some kind of cybersecurity expert for the administration, mistakenly inserted an unregistered URL into one of his tweets late last year, then accused Twitter of allowing hackers to “invade my text with a disgusting anti-President message” when someone registered the URL and set up a website calling Trump a “traitor.” More generally, many prominent conservatives have yelled bloody murder whenever some right-wing figure or another finally blundered into a Twitter ban.